My love of a good sale will come as no surprise to long time readers. The joy you feel when one day an item you have been stalking keeping an eye on has a line cast through the price and instead has a shiny new - reduced - price. When Think Money contacted me about their Basic Bank Account and challenged me to a spending challenge, I was more than happy to oblige in some sale shopping! The idea behind their campaign being to promote how being savvy with your money can help you budget and have the best of both worlds - paying for daily costs such as travel and bills, but at the same time being able to treat oneself to a little bit of luxury. 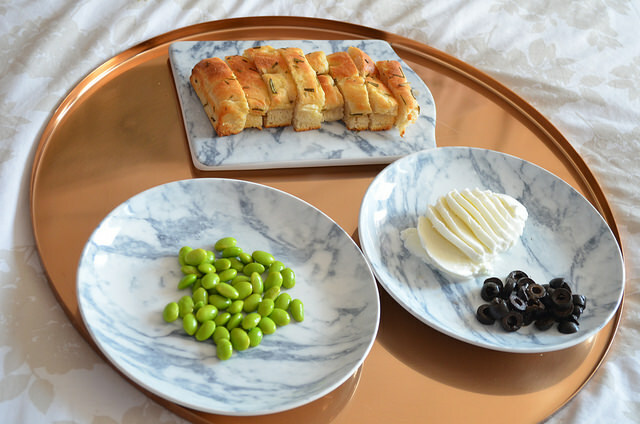 These items saw their first run this weekend with a picnic type lunch of rosemary focaccia, edamame beans, black olives and mozzarella. 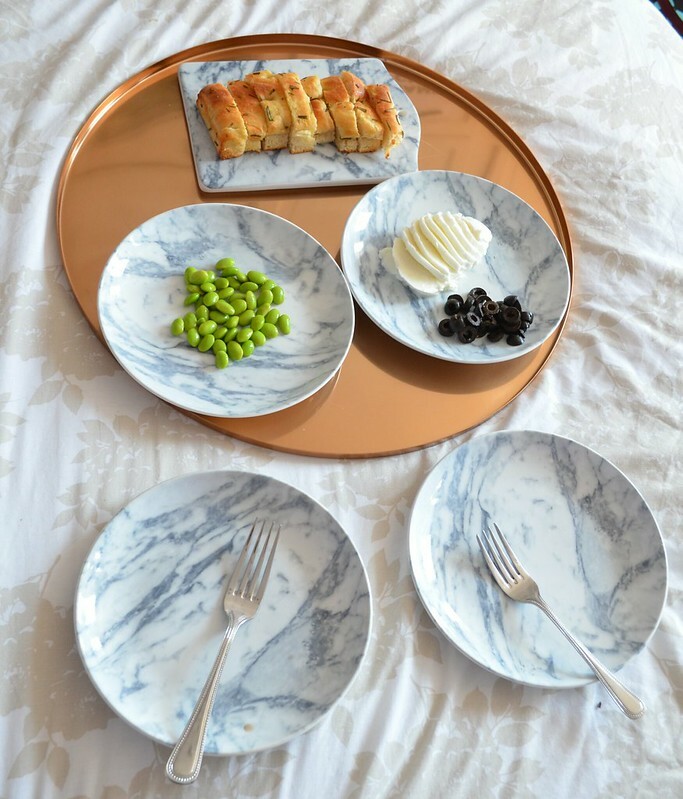 Not sure if it's just me, but everything seems to taste much better when you eat off of beautiful plates! What I learnt is that a little saving here and there really helps - particularly when saving for a house! I saved an incredible £23.90. And not only this, but these were in fact items I was on the brink of buying before full price - but this way, I got so much more for my money! Have you picked up anything nice in the sales lately? * although Think Money very kindly provided me with budget for this spending challenge, as ever, all words and opinions are my own!